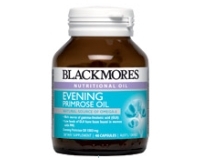 Blackmores Evening Primrose Oil provides a rich natural source of the important omega-6 essential fatty acid gamma-linolenic acid (GLA). Some people may not get enough GLA in their diet, therefore supplementation may be beneficial. Low levels of GLA have been found in adults and children with atopic eczema and atopic dermatitis, as well as women with premenstrual syndrome. - Natural source of omega-6 essential fatty acids. - Rich source of gamma-linolenic acid (GLA). - Low levels of GLA have been found in adults and children with atopic eczema and atopic dermatitis, as well as women with premenstrual syndrome. 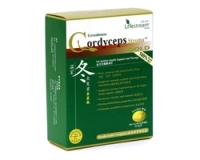 Adults -Take 1 to 3 capsules once a day with a meal, or as professionally prescribed. Children 6-12 years - Take 1 to 2 capsules once a day (pierce and squeeze into milk, juice or cereal), or as professionally prescribed. Children 2-6 years - Take 1 capsule a day (pierce and squeeze into milk, juice or cereal), or as professionally prescribed.